Gujarat State Agricultural Universities Common Admission will be declared List of eligible candidates in various PG Courses on Today. The University published GSAUCA PG Courses Eligible Candidates List 2014 on its official website. 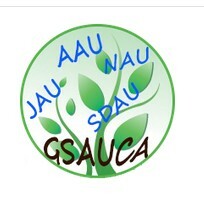 The Candidate who are applied for admission in to Post Graduate Programmes can Check their name through website www.gsauca.in. The Students Download PDF File and Find their Name. There are many Post Graduate Courses running at five Agricultural Universities i.e., 1) Master Degree Courses in Dairy, FPT, AET, AIT, PHT&PE 2) Master Degree Courses in Home Science 3) Ph.D Courses in Home Science 4) Master Degree Courses in Veterinary Science 5) Ph.D Courses in Veterinary Science 6) PhD Courses in Dairy, FPT, AET 7) M.Sc. (Forestry) 8) M.Sc. (Horticulture) 9) M.Sc. (Horticulture) 10) Ph.D (Horticulture) and 11) M.Sc. (ICT in Agriculture). The University published all Courses Entrance Test Information and List of eligible candidates on official website. The Candidate can download PDF File and Check your name in the List. The Government of Gujarat has established four Agricultural Universities like Anand Agricultural University, Dairy Science College, Amreli – Kamdhenu University, Junagadh Agricultural University, Sardar Krushinagar Dantiwada Agricultural University and Navasari Agricultural University. Every year a huge number of candidate applied for Entrance exam for admission in to under graduate course and post graduate course in this collage. Students Follow below step to check your GSAUCA 2014 PG Results. How to Download GSAUCA PG Courses Eligible Candidates List 2014 ? Now Click on List of eligible candidates in various PG Courses Link. Then Click On your Your Course and Download PDF File. Now Take a print and save for future use. Tapan Patel is the Educational Blogger of Gujinfo.com. He provides you First & Fast Updates on Govt Jobs, Exam, Recruitment, Admit Card, Answer Key, Results and Study Materials. A very warm welcome to the Indian Education Website GujInfo.com. The GujInfo Website is an online information service provided by young professional bloggers Tapan Patel. Our aim to provide each and every information. Hope you will like this and feel free to share this information with your friends.